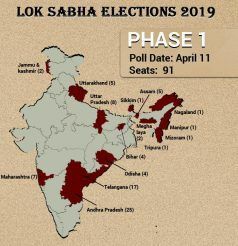 Ongole, Nandyal, Kurnool, Anantapur, Hindupur Seats in Andhra Pradesh will go to Lok Sabha Elections 2019 on April 11. A Congress stronghold, Ongole constitutes 1,375,558 electorates, as per ECI 2009 data. The seat was won by YV Subba Reddy of the YSRCP in 2014 against Magunta Sreenivasulu Reddy of the Telugu Desam Party (TDP). For Lok Sabha Elections 2019, the Bharatiya Janata Party (BJP) has fielded Thogunta Srinivas, while the Congress has given ticket to Dr SDJM Prasad. The seat will also witness a tough contest between YSRCP and TDP’s Magunta Srinivasulu Reddy and Sidda Raghava Rao. 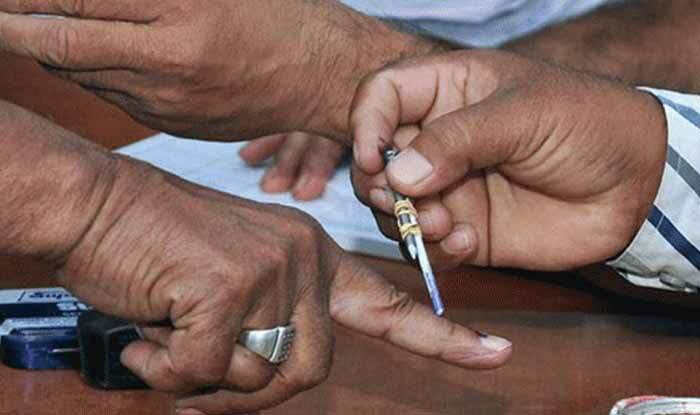 Nandyal constitutes 1,358,711 electorate. The seat has been won by the TDP a number of time but it has remained a stronghold of the Congress since its formation. In 2014, Nandyal was won by YSRCP’s SPY Reddy against N Md Farook of the TDP. For Lok Sabha Elections 2019, the BJP, Congress, YSRCP and TDP have fielded Dr AdinarayanaInti, J Lakshmi Narasimha Yadav, P Brahmananda Reddy and Mandra Shivanad Reddy. The total electorates in the Kurnool Parliamentary constituency, as per ECI 2009 data, were 1,307,312. In 2014, the seat was won by Butta Renuka of the YSRCP against Bendula Thirumala Naidu of the TDP. For Lok Sabha Elections 2019, the BJP has fielded Dr PV Parthasarthi, while for Congress, CPI(M), YSRCP and TDP, the elections will be fought by Ahmed Ali Khan, K Prabhakara Reddy, Sanjeev Kumar and Kotla Surya Prakash Reddy, respectively. Anantapur is a Congress stronghold and comprises of 1,173,138 electorates. In 2014, it was won by JC Divakar Reddi of the TDP against Anantha Venkataramireddy of the YSRCP. For Lok Sabha Elections 2019, Hamsa Devineni, Kuncham Rajeev Reddy, Talari Rangaiah and JC Pavan Reddy will contest the polls on the BJP, Congress, YSRCP and TDP tickets, respectively. Hindupur, which has been a Congress stronghold since its inception, has a total of 1,377,610 electorates out of which 682,628 are females and 694,982 are males, as per ECI 2009 data. The seat was won by Kristappa Nimmala of the TDP against Duddukunta Sreedhar Reddy of the YSRCP in 2014. For Lok Sabha Elections 2019, the seat will witness a tough contest between Pogala Venkata Parthasarthi of the BJP, KT Sreedhar of the Congress, Nimmala Kristappa of the TDP and Gorantla Madav of the YSRCP.